We offer four genuine log cabins and now featuring a new Treehouse. 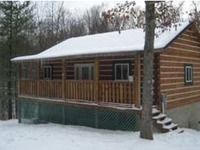 Each of our properties are heavily surrounded by woods and private from other cabins. All have hot tubs, fire rings and grills as well as all the comforts of home. Comfort One sleeps up to four guests with a beautiful view of a heavily wooded stream. 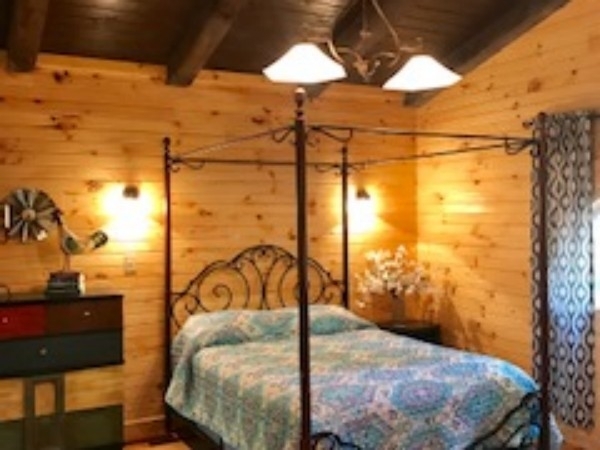 Comfort Two is a couple's cabin with a romantic flair. 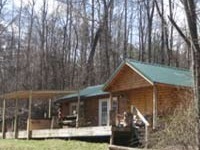 Comfort Three is our family cabin which features a small stocked fishing pond. 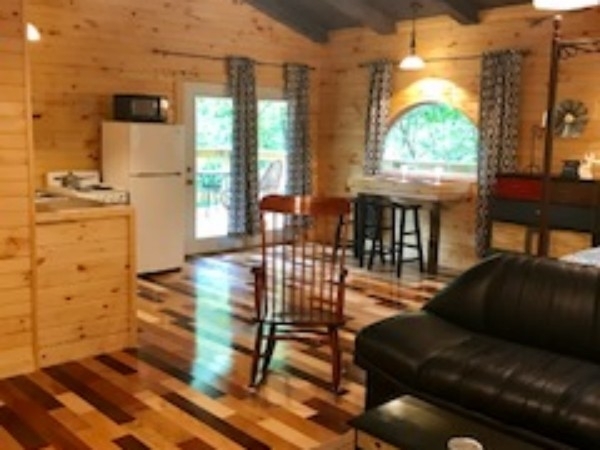 Comfort Four is our newest and largest cabin sleeping up to 6 guests in two bedrooms. The perfect getaway for family or friends. The Tree House is our newest property. Get a true bird's eye view while relaxing in the hot tub of this very unique and fun place to stay. 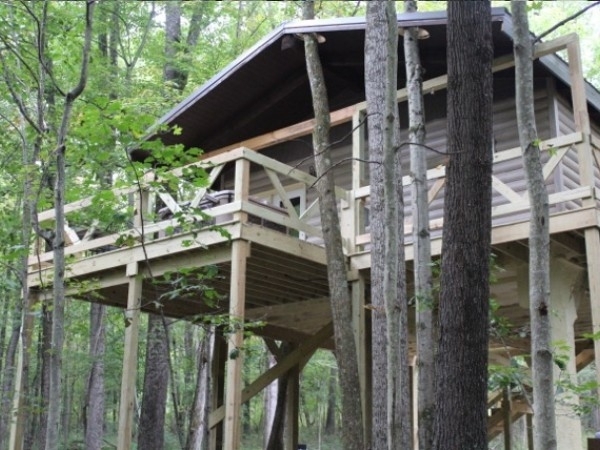 The Tree House sits on a 20 foot platform in the high treetop canopy. The deck wraps around the property for a beautiful view down below. The Tree House is for the true adventurer who doesn't mind heights. Comfortably crafted with your comfort in mind. Conveniently located less than 10mins from Old Mans Cave. Relax in the hot tub on the large covered deck overlooking a ravine full of wildlife. Enjoy the large kitchen stocked with everything you need. 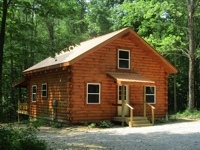 COMFORT Two is our secluded Couples Cabin. Perfect romantic getaway with candles intimate feel. Fully furnished loft bedroom with electric fireplace. Relax in your private hot tub while watching deer run through our senic stream or enjoy a nice bonfire. Comfort Three is perfect for a couple or family. Very private with a fishing pond. Relax in the hot tub while the deer wander by. Kids can snuggle under the lantern in a sleeping loft while parents take the bed in this large open space cabin w/fireplace. 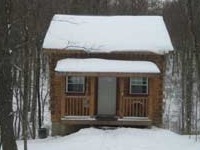 Our new property is this secluded, 2 bedroom beautiful Log Cabin. Features Stainless kitchen, tile granite bathroom, large open feel. Relax in the hot tub surrounded by woods with your family friends. Enjoy a movie next to the electric fireplace. The Treehouse sets on a 20 foot high platform nestled in a canopy of trees. The deck wraps around the entire treehouse with the hot tub overlooking a stream. Enjoy the birdseye view as you look down upon the deer and wildlife strolling along the property.